P123 - 12 x 20 Birds and Blossoms in Magenta with gold leaf in white linen. P122 - 12 x 20 Birds and Blossoms in Jade with gold leaf in white linen. 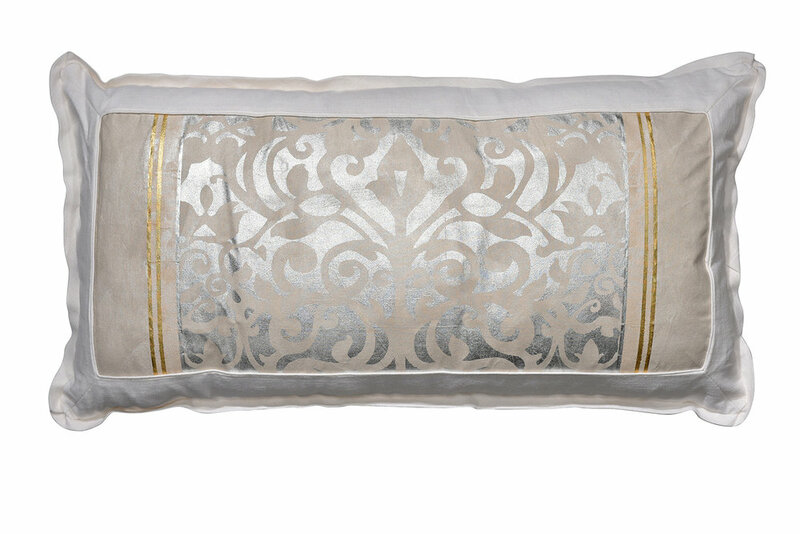 PL183 - 18 x 34 Fan Palm in Mineral with gold and silver leaf in white linen. PL181 - 18 x 34 Jardin in Black Opal with gold and silver leaf in white linen. P201 - 20 x 20 Birds and Blossoms in Mineral with gold and silver leaf in white linen. P203 - 20 x 20 Birds and Blossoms in Black Opal with gold and silver leaf in white linen. P202 - 20 x 20 Birds and Blossoms in Celadon with gold and silver leaf in white linen. P204 - 20 x 20 Birds and Blossoms in Fawn with gold and silver leaf in white linen. 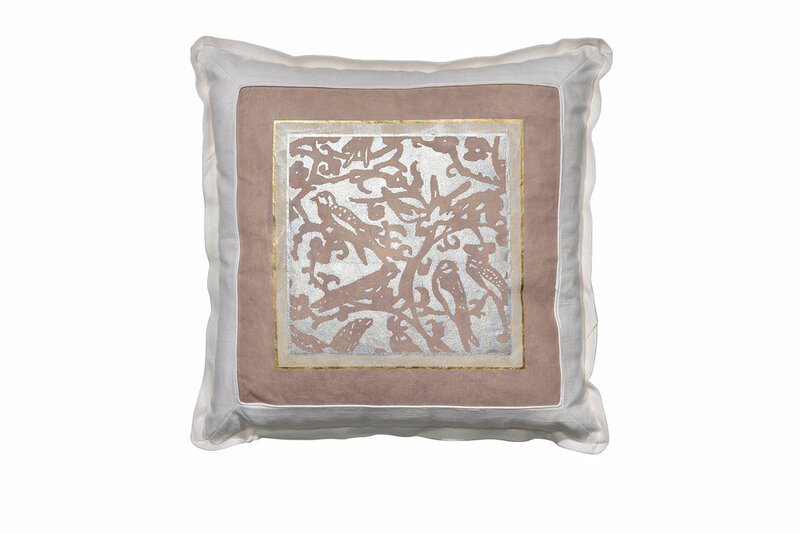 P2801 Arabesque in Oyster with gold leaf in white linen.